Maybe this is the reason General Motors went “mental” and pulled its Facebook ad budget. Digital marketing is confusing—really confusing—as this insane graphic shows (below). Trying to navigate through the various new social media categories, blogs, sharing sites, and social media firms is an absolute mess. This depiction of the digital marketing landscape was shown at a Buddy Media event marking the launch of the social marketing software agency’s new suite of measurement tools. You can click to enlarge it, but that won’t make it look any simpler. Since the days of Google Buzz, the +1 button has been a mystery to users and content producers alike. It’s different from Facebook’s“Like” button, in that it doesn’t directly share content to a user’s social stream. But the cultivation of a social graph has long been the goal of Google, and its connection to search was likely inevitable. The plot thickened last month when Google launched Search plus Your World. Jack Menzel, director of product management for Google Search, explained that now Google+ users would be able to “search across information that is private and only shared to you, not just the public web.” According to Ian Lurie from the blog Conversation Marketing, in Search plus Your World, search results that received a lot of +1s tend to show up higher in results. Google has come out and described the purpose of a +1, but hasn’t necessarily explained the direct effect a +1 has on search ranking. Here’s a breakdown of what we currently know. When a Google+ user +1’s a piece of content, he gives it his “stamp of approval.” Then, say one of his connections from Google+ searches for the same or related topic. Because of Search plus Your World, his friend is more likely to click on the same link the original user +1’d (when a signed-in user searches, his Google results may include snippets annotated with the names of connections who have +1′d the content). This is because content recommended by friends and acquaintances is often more relevant than content from strangers, according to Google. This is also true for users who are not signed in to their Google account when they search. When a user searches for the same phrase, the results might display the total number of +1’s a link has received, which is another validation that it’s a relevant link. Are you reading this story on your phone via a link on Twitter, Facebook or some other social network? You’re not alone. A full 38.2 million people use social networks on their phones or tablets on a “near daily” basis, according to the report. What exactly are they doing? Reading updates from friends, the study says, with 84.6% of mobile social networkers checking out “posts from people known personally.” Posting status updates was the second most popular activity, with 73.6% of users partaking. It’s important to note comScore counts reading blogs as social networking. While the study found users are most likely to read posts from friends, it also says people are increasingly using their social networks to interact with brands and organizations. Almost 58% of U.S. users read posts from companies or brands, and about 32% are said to be likely to click on ads while social networking. The overall number of people experiencing social networks through their phones or tablets is surging. That 64 million figure is up 77% from the year before, and daily users are up 88%. That growth is tied directly to smartphone adoption, which comScore says is up to 41.8% of the phone-owning audience — up from 27% just a year ago. How are you responding to upset customers? No matter what you sell or what industry you’re in, you’re going to experience negative word of mouth. You know, those customers who are expressing their complaints on social media. It just happens. But it’s how you handle it that separates you from everyone else. Remember: Negative word of mouth is an opportunity. You Don’t See Great response starts with great listening. 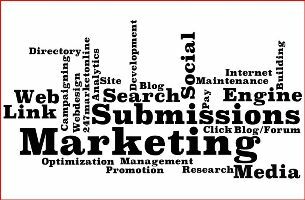 ■Set up Google Alerts for your brand and industry keywords. ■Keep a close eye on your Facebook page. ■Depending on the type of business you have, read reviews on sites such as Yelp, TripAdvisor and Zagat. ■Make a list of any forums or communities where your customers congregate and regularly check in on them. Not all negative comments are worth a response, and not all critics are worth trying to win over. Sometimes, as hard as it can be, it’s best just to move on. Avoid these situations: The criticism is on a really small blog or forum, and your response will only bring attention and credibility to an issue nobody saw in the first place It’s a blatant attack that’s clearly rude and outrageous—and anyone who reads it can see the critic has a personal problem. A known crackpot who is only looking to pick a fight. There’s just no way to win in these scenarios. So stay out, move on, keep your head up and focus on the wrongs you can right. When you’re facing negative word of mouth, time is not on your side. The longer you wait to respond, the angrier the customer will get—and the more likely others will pick up on the issue and spread the negative buzz.At the very least, say this: “Hi, my name is ____ and I hear you. We’re looking into it now, and I’ll get back to you as soon as possible. If you have any questions, contact me directly at _____.” A message like this does two things: The ranter knows he or she has your attention—there’s much less incentive to keep spreading the anger and It makes a real person with real contact info available, so if the person is still angry, you’ve at least specified a place to vent other than online. There is something happening on Facebook that you might not have noticed. What you might have overlooked is the fact that a new term “F-Commerce” which is the social business of having your own online store on Facebook is now emerging and becoming a reality and is being embraced by brands both big and small. If you visit the Facebook pages of the top 10 major music stars on Facebook, six have their own store on Facebook. Also other top brands such as Warner Brothers, JC Penney and Brooks Brothers are planning on setting up a shop on Facebook. Smaller brands have set up shop on Facebook such as Vintage Marketplace and Grand Social and the opportunity for people to share their online shopping experiences makes the social commerce online store an attractive proposition for business owners. 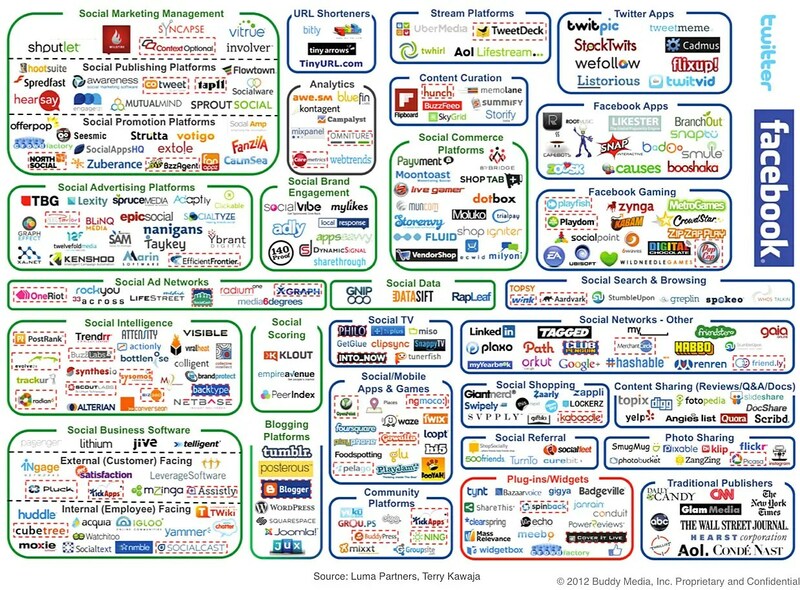 Is 2011 the social commerce tipping point? Some pundits are predicting that F-commerce on Facebook will reach as high as $1.2 billion in 2011. Your website is the “storefront” of your business. Your website needs to attract customers and keep them coming back for more. There are always many ways to improve any website. Below, we’ve included a list of 10 questions that could help you to improve your website. You only have a few seconds to capture the attention of your audience…make sure they’re seeing something important. Your visitors want to quickly learn “what’s in it for them.” Spell out the benefits clearly on the homepage. 6. Are the colors and font distracting? Jarring colors, quick animation, and gaudy fonts can really be distracting. And if your visitors are distracted, they’ll click away. Ensure that contrast levels and text sizes are ‘acceptable’. Just because you have perfect 20:20 vision doesn’t mean that anyone can read your site. 9. Can people understand your text? Think about your audience and reword those confusing sentences. 10. Do you have relevant images on your website? Some of the most attractive features of websites that draw people to visit them are the images. While it is true that content is the most important part when trying to increase website ranking, the images are the ones that keep people from being bored while they are on your pages. By all means create beautiful images, but don’t forget to optimise them for the web. You may have a quick connection. Once you determine a few areas where you can improve, develop a plan to start implementing changes. You don’t have to do them all at once – just do a few at a time until you have a website that really converts. There’s a thin line between under and over-communication with your customers. If you under-communicate you could be missing vital opportunities to sell or lose loyal purchasers to competitor promotions. On the other hand, too much communication can stray into the territory of spam and junk mail. Your customers may tire of your messages and start to ignore you. Your customers are your business’s greatest ‘intangible asset’: they represent the potential for your business to grow if every selling opportunity is maximised. Electronic communications has enabled companies to get even closer to and sell more to customers, but it can be a double-edged sword. Too many communications may cause your customers to unsubscribe – effectively cutting you off from all potential future revenue – unless they can be persuaded to subscribe again through a different promotional channel. So how can you maximise the profit-generation potential of your existing customers? Communicate regularly – decide how often you want to communicate with your customers, let them know and stick to it. The regularity and reliability of your communication can become a manifestation of your brand – indicating reliability and consistency in your services. up for alerts for certain product lines, product groups, or selected services. Be thoughtful – the more you can personalise the communication the more it will seem to your customers that you are thinking of them before yourself. Be clever – don’t just bombard with sales messages. Put in some work to add value to your communication, for example offer a downloadable guide, or a helpful and friendly newsletter. Be grateful – show your appreciation for their custom. Send a thank you note as a follow up to a purchase, offering help and links to complementary products. Be careful – by law, businesses must make it easy for their customers and users to unsubscribe from unwanted further communications. The danger of offering ‘one click’ to unsubscribe from all further communications is that it is all too easy for customers to cut themselves of from ever hearing from you again. Social media is being used successfully by some businesses but they are having to invest time and money to find their unique way of using the tools. There is certainly the opportunity for smaller businesses to make a difference and I believe that it is the future for promoting your online presence. How do you integrate social media into your daily routine? Do you do it regularly, schedule it into your diaery or as the fancy takes you?